My friend Jo and I have started a facebook group called Raw Vegan Sumtin, as a forum for information on raw vegan diet and nutrition. 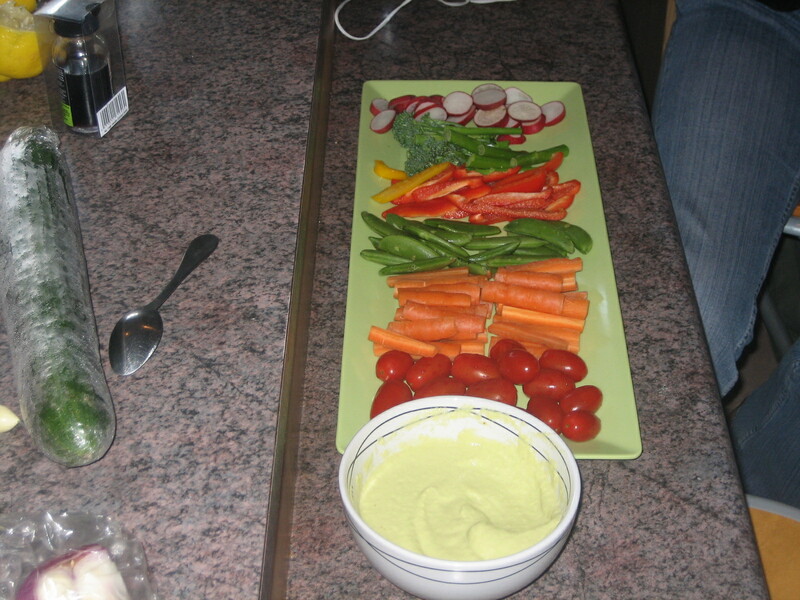 The group hosted an event last year to demonstrate how to prepare a raw vegan meal- the appetiser was raw hummus with crudites, the main course was raw vegan burritos with salsa and guacamole, and the dessert was raw chocolate dipped strawberries and bananas. The food was great, and we all had a good time making and eating it. Place all ingredients in blender, and blend until smooth. Serve with veggies of your choice (we used baby roma tomatoes, carrots, sugar snap peas, bell peppers, radishes, asparagus and broccoli). Guacamole: Avocado, spring onions or red onions, fresh bell pepper, fresh coriander (cilantro), small jalapeno pepper, lime or lemon juice and salt– chop the veggies, mix together, add avocado mashed into a puree. Season with salt and lemon juice to taste. Fresh tomato salsa: Tomatoes, onions, fresh coriander (cilantro), garlic, jalapeno chile, lemon or lime juice, freshly ground pepper and salt. Chop all vegetables, mix together. Add lime juice, salt and pepper. Allow to sit for at least 15 minutes for flavours to meld. 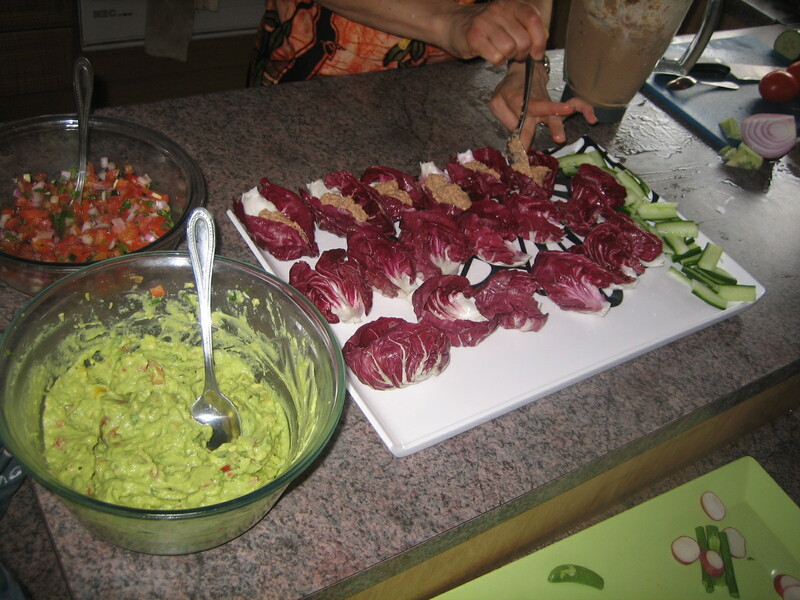 To serve: use lettuce or cabbage leaves as serving boats (or wraps). Add a spoon or two of walnut filling, top with salsa, guacamole and some fresh veggies, such as julienned carrot, sprouts and sliced cucumber. I guess we ate the dessert so quickly we didn’t get a chance to take a picture. 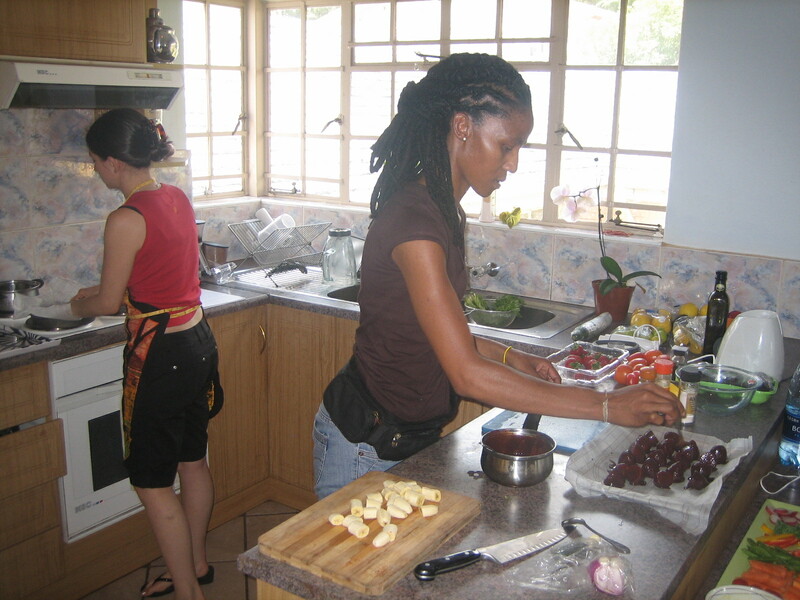 But here’s one of the process of making the chocolate-dipped fruits. 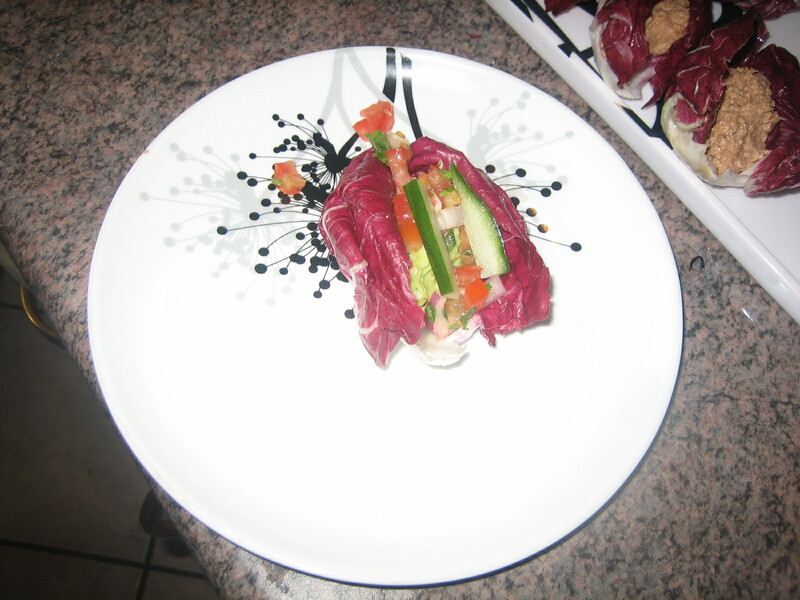 This entry was posted in cooking classes, Raw Food, recipes and tagged cooking class, johannesburg, raw food recipes, vegan recipes. Bookmark the permalink. I am so happy to see you got the blog going. I love it. Happy sharing.! !